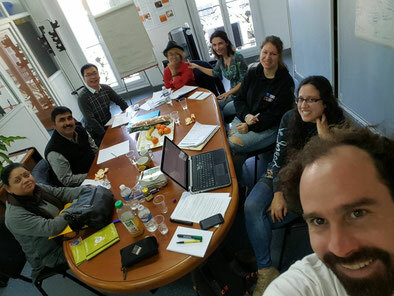 Kick off meeting in France, for project "EYES"
"Eurasia for Youth Entrepreneurship and Social business" (EYES) is an innovative project which gathers NGOs from Europe (Youth Center of Epirus- from Greece, D'Avent Association- from Romania and Eurasia Net- from France) and Asia (Cango- from China, Sj Vietnam- from Vietnam and Jeevan Rekha Parishad- from India) in order to develop youth's skills in the field of social business' making. 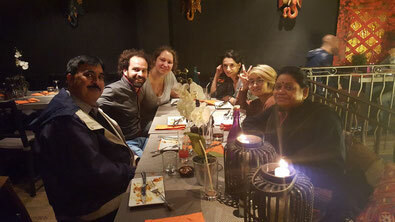 This project will be implemented during one year, from November 2015 to October 2016 and this meeting in Marseilles, France was the beginning of it. One member of each partner organisation took part in this kick off meeting in December 2015. The following activities will include local activities (search for local youth who are interested in making their own business, support them to develop social business in work teams), international seminar in Hanoi - Vietnam (to exchange practices from each country partner about local work on social business, to hold training activities related to social entrepreneurship), creation of national and international guides on social entrepreneurship, local event to promote the project, to disseminate the international guide, and to present the network of social business’ stakeholders from Europe and Asia. After the project, the consortium will continue to promote entrepreneurship in social business through a network of partners from Europe and Asia, composed of youth workers and young entrepreneurs. members of the network will organize a mentoring and supporting system for youth from any country to develop their own activity at a local or international level.